Electronic warfare is the art of the invisible. Or at least, the invisible parts of the electromagnetic spectrum, and the signals sent through it and detected by machines. Given the reliance of modern war fighting by the United States and its NATO allies on successful mastery of the electromagnetic spectrum, it’s worth taking a close look at exactly what they might encounter in a near-peer adversary. To get that closer look, we asked Samuel Bendett, a research analyst at the Center for Naval Analyses, to give us the run-down on Russia’s electronic warfare capabilities. What unique threat does Russian electronic warfare pose to U.S. and NATO forces in Europe? Russian EW is a developed, mature technology that has continued to develop after the collapse of the Soviet Union. While U.S. technology may have been superior to the Soviet analogue, Americans basically shelved their EW capacity after the end of the Cold War due to the absence of threat that Moscow used to represent prior to 1991. So over the past several years, Americans were suddenly confronted with their atrophied capability when compared to Russian EW tech and concept of operations. Objectively speaking, the United States can catch up to the current Russian capacity ― but it would take time. Has that threat changed in the last five years? Over the past five years, Russians have been testing and evaluating a variety of EW technologies ― those that operate at close range to those that can potentially function at hundreds of kilometers. Russians have also been practicing their operations and techniques, tactics and procedures under possible Western EW attack so that their troops and technologies can learn to function in the absence of technology that has grown ubiquitous on the battlefield, like GPS and GLONASS, the Russian version. Have we seen any new EW platforms deployed in Russia’s proxy wars, like Syria, Ukraine or elsewhere? In Ukraine, there have been reports of Leer-3 EW platform ― a UAV-carried cell tower-suppressor delivered via a team of two to three Orlan UAVs. 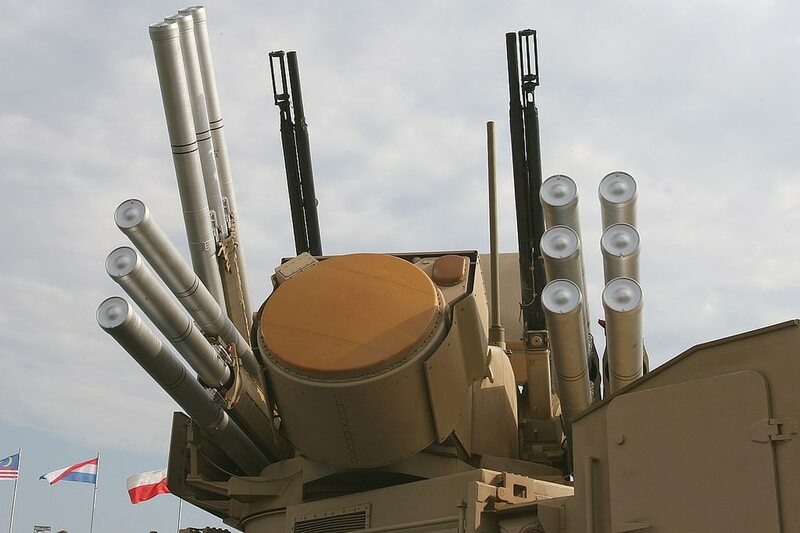 In Syria especially ― where Russian military has tested close to 200 different military technologies ― the Krasuha and Moskva EW systems were sited, along with the aforementioned Leer-3. What new Russian weapon took out this Ukranian drone? Last week, on the outskirts of Donbas, a Ukrainian non governmental organization encountered what appears to be a new counter-drone system from Russia. In Syria, Russians are laying the foundation for what they call a “layered defense,” where EW systems are paired with the early warning radars and air defense systems like Pantsir-S. It was this layered defense that shot down a swarm of enemy UAVs in January this year and that continued to defend Russian military bases and assets in the country. Are there any particular EW platforms that observers in the U.S. or NATO should be paying more attention to? In Syria and in the Black Sea, Russians are collecting vast amounts of signals intelligence from all kinds of Western assets ― from missiles to aircraft to other electronic signatures. This, more than anything, may represent a potential threat to Western technological dominance since Russian EW systems may learn how to counter American/NATO military tech by targeting their very specific electronic signals and signatures. Russians are even saying that some EW systems they will field ― like Bylina ― will feature artificial intelligence capacity based on machine learning. Such learning would come from collecting Western sigint. Have we seen an developments by NATO countries to counter Russian EW? On Western countries countering Russian EW: I have seen debates about electromagnetic spectrum and the urgency in the U.S. military to ramp up their technological capacity in EW systems. What’s also needed is an understanding that Russians are seeking to integrate their EW capabilities across their entire fighting force, and that they are learning how to conduct offensive and defensive EW maneuvers that may negate Western technological dominance in precision-guided munitions and advanced air-, space- and sea-based systems.